The results are in from the Spring Garden Competition. These residential gardens are open this weekend 10am-4pm for the general public to visit. Just look out for the banners in front of the properties. For photos of each property, scroll down to the next post. Congratulations also to the Coffs Harbour Schools who entered the Spring Garden Competitions. These schools ARE NOT open to the public this weekend. The Industrial, Commercial and Community Categories also ARE NOT open to the public. 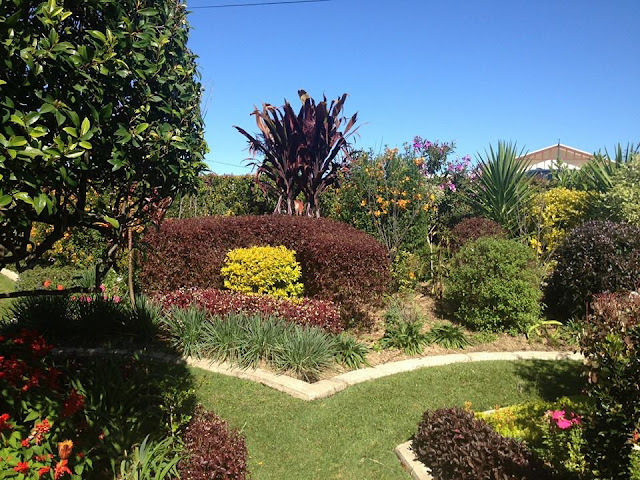 Coffs Harbour Garden Club wishes to extend their thanks to ALL the gardeners who entered in the 2016 Spring Garden Competition, you have certainly done your bit to help beautify the Coffs Coast. IT IS a lot of work to prepare your garden for the competition, however it will bring much joy to both yourselves and those who see your wonderful garden - WELL DONE to you all!